Shenzhen SFCAM Technology Co., Ltd is a high-technology enterprise specializing in research, manufacture and supply of surveillance products. 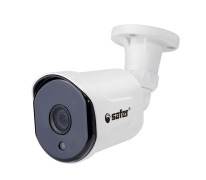 They can be classified into 11 series, totally 2,000 models, include CCTV Camera, HD IP Camera, HD AHD/TVI/CVI Camera, PTZ Dome, WIFI Kit, DVR, NVR etc. Established in 2002, Safer has more than 600 employees and a 10,000 square meters factory by now. With 6 manufacturing lines and 4 advanced automatic assembling lines, it can be turn out almost 250,000 units per month. We have a high-quality R&D team with a set of advanced equipment and many technicians, who are all well experienced in the field of radio and video products. We have established a perfect QC department, to strengthen the employee's quality idea, we train them on quality knowledge and work skills termly. The skillful production lines with strong quality ideas and strict disciplines has been laid a stable foundation in producing and distributing high-quality CCTV cameras for us. We also have distributors in 20 foreign countries, such as America, Ressia, United Kingdom, France, Germany, India & Brazil, and we have established the reliable foreign trade business relationship with many cutomers from nearly 40 countries. Having customer satisfaction is our company's dignity forever, we will make great effort to develop new and top-quality products, meet your special requirements for the research and development of the products and provide you perfect service system consisting of pro-sale, on-sale and after-sale service.